NyeTec | The only official DekTec shop in the UK. Dektecs official distributor. NyeTec NyeTec Limited was established in 2003 and is based on the South Coast of the UK. Our Traditional market has been suppling DAB and DVB Test Equipment for the development, test and broadcasting of digital t-television and radio services. Since our partnership with Harmonic we have broadened our product range into the Contribution and distribution market’s. Not being tied to any one specific manufacturer we can offer impartial advice, customer focused support and the right product to meet your needs. We are proud to be associated with the following world class manufacturers who form part of our impressive portfolio. DekTec Digital Video B.V., based in Hilversum, The Netherlands. DekTec is a manufacturer of DVB Test equipment, Digital Video interfacing devices, DVB Modulators and associated software for development and test of digital television products. Harmonic is a worldwide leader in video delivery infrastructure solutions and the first to provide broadcasters, service providers and other media companies with emerging video capabilities that are ready to deploy on a global scale. Delivering cutting-edge solutions that power everything from HEVC (High Efficiency Video Coding) compression of Ultra HD video, to blazing-fast transcoding of over-the-top (OTT) video-on-demand content we offer stunning video to viewers on any screen, anywhere. RioVIDEO is a new UK company in the compression and video processing space. The CEO and founder Matthew Compton has 20 years experience in the industry and has a vision for delivering cost effective solutions without compromising quality. RioVIDEO platforms leverage standard computing hardware and are designed to address increasing demand of video distribution over the internet for both contribution and end user consumption. RioVIDEO platforms may also be tailored with bespoke features to meet customer specific needs. Quales is a young, dynamic and rapidly expanding company who are passionate about Video. Being founded by industry professionals with a wealth of relevant experience, they have developed a product which is highly featured, well thought out, whilst still being affordable in an ever competitive market place. Quales is suitable for online or file based broadcast content; provides a straight-forward web-based and visual health check system for media, ensuring content readiness in all phases of your workflow. Parabola was founded in 2011 with the embryonic HEVC video standard firmly in mind. A privately-held company based close to London, UK, our experienced team is passionate about customer service, quality, compliance and best practice. Xpertia S.I. is a Spanish company based in Madrid and founded in April 2004. The company is a major player in the Digital TV market and leads the field in DVB training products. The premier product is LabMU, the World’s first comprehensive, Multiuser, Digital TV Laboratory which is currently in use by more than 16 Universities and Technological Centres. With its new “Studio in a Box” product LabMU-Studio it is reinforcing its dominance of the educational market. Wireless Excellence is a UK based designer and manufacturer of the CableFree range of products for high performance wireless connectivity. Technologies offered include Free Space Optics (FSO), OFDM Radio, Licensed Microwave, Millimeter-Wave, WiMAX and WiFi. 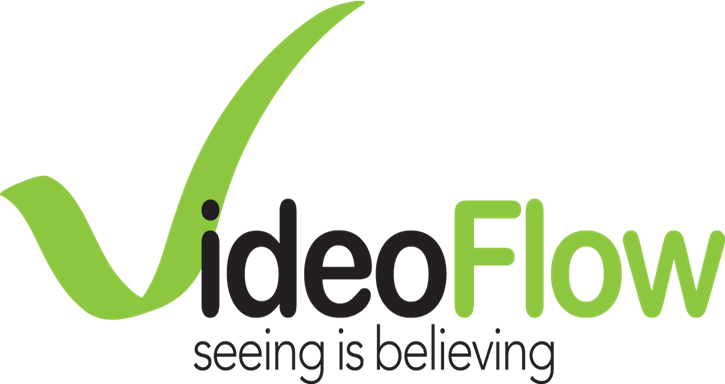 VideoFlow is the leading provider of innovative cost-effective, standards-compliant, high-quality digital content delivery solutions. Using its error correction (VFEC) technology, management of packet loss and elimination of IP jitter, ADSL links can provide a reliable content distribution network maximising the quality of your video streams, while minimising cost. TIANJIN DEVISER ELECTRONICS INSTRUMENT CO., LTD is the leading developer and manufacturer of TV, Broadcast and Communication test and measurement equipment in China. Deviser mainly offers Wireless Communication Measurement, Spectrum Monitoring, Fiber/Cable Measurement, DVB Signal Analysis, Electronic Apparatus Parts Test and other RF Measurement solutions.